Did you know why a hungry man is an angry man? This is not a new idea. Hunger kills. It kills spirits. It kills individuals and groups from any place on earth. In Juba city of South Sudan, citizens’ stomachs are empty. Every time I board a public transport vehicle from Munuki to Juba town or Konyokonyo, there is a gurgling noise from people’s bellies due to hunger pangs resulting from unfilled intestines. Experts say people feel hungry if our fat levels drop. That hungry feeling is said to be caused by the brain triggering the release of a hormone called ghrelin. Personally, I don’t know the motivational factors associated with eating. But I guess, it has a complicated motivation. Most of us worship food. In fact, I can afford to lie about other things but not about accepting that I have thought of food more than thinking about anything in the last more than 25 years of my existence. 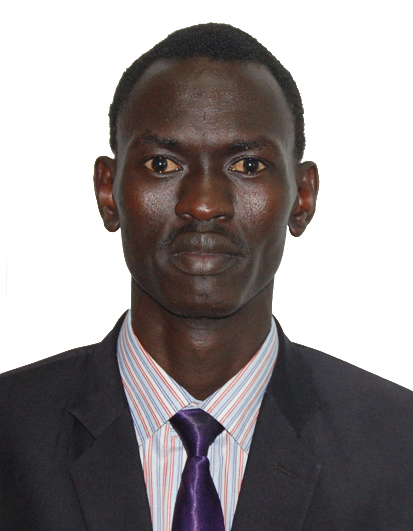 Every single day, even as I write this, I am thinking about what to eat later but I am lucky because I hope that my maternal uncle will bring something to the table for he is an SPLM/A veteran. What about those who are hopeless without veterans in their midst? Former President Luiz Inacio Lula Da Silva of Brazil noticed in 2006, “Where there is hunger, there is no hope…Hunger nurtures violence and fanaticism. A world where people starve will never be safe.” In South Sudan, there are individuals and families who do not know what to eat from where and when. From my historical observation, a hungry person is not only hopeless but also thoughtless and lawless in the society. Dear reader, if you have cared to count about what happens in other parts of the world, you’ll realize that absence of food causes war and deep roots insecurity than struggle for power does. One of history’s most famous examples is the spate of food riots that ignited French Revolution in 1789. This sounds too far for you but there are more recent examples around the globe. The overthrow of the Haitian government in 2008 followed street protests over high food prices. In actual fact, it’s on record that from 2007-2009, the U.S. State Department estimated that more than 60 food-related riots happened worldwide as a result of higher food prices and food insecurity. Food prices were also one of the resources of the unrest which formed the backdrop to the “Arab Spring” of 2011. South Sudanese deserve handful congratulations for their patience without stepping the streets with bitterness in their hearts and stomachs. Right thinking minds in the Transitional Government of National Unity (TGONU) in our Republic must begin to contemplate about unforeseen facts in spite of power sharing. We need peace, but, peace is senseless without food. We need stability, but, stability cannot come from thoughtless and lawless citizens. Share power, share food, open opportunities should be the goal of TGONU or else the people shall run out of patience. The backside of “hunger-instability” equation is that, in times of troubles, food assistance helps to promote peace and stability. It’s a fundamental human need and thus brings calm just like meeting of any other fundamental human need. Indeed, if you are leading the fight against the neglecting of the people of South Sudan, then spreading these feeling either to members of Sudan People’s Liberation Movement in Government (SPLM-IG) or Sudan People’s Liberation Movement in opposition (SPLM-IO) is not a waste of time or a criminal offence. Share the feelings, share worries and anticipate the future for better or for worse. This old government in a new form, should forge to be good for the sake of the dying common men and women in our country. We know we have pounds but no one has interest to invest in people. I admire HRH Princess Haya Bint Al Hussein of Jordan, Former Ambassador against Hunger, who once noted, “A dollar invested in ending hunger, is a dollar invested in peace.” If the transitional government is for peace, then it’ll invest monies in hunger to bring about peace. My rivals are those still brooding over the gone conflict without realizing that conflict is development in reverse. That is why I have mentioned it time and again that South Sudan conflict was not a senseless war. May be there was a hidden treasure in it. I am not ignorant of the impediments of conflict. One of the most pressing effects is that it displaces people. Necessarily, refugees are more concerned with their next move to shelter and survival, so land that is fit for agricultural production is ravaged and rural farms undergo devastating raids when entire fields of crop are burned and populations of domestic animals are decimated. Political deadlocks due to the failure of leaders to cooperate in times of war makes the situation worse, which in turn shuts down aid agencies from providing much-needed supplies. We’ll get the treasure we need if we allow our hearts at work in spite of where you come from or what political affiliation you hold. Above all, peace is senseless without food, and food is what makes human… Stay warm.